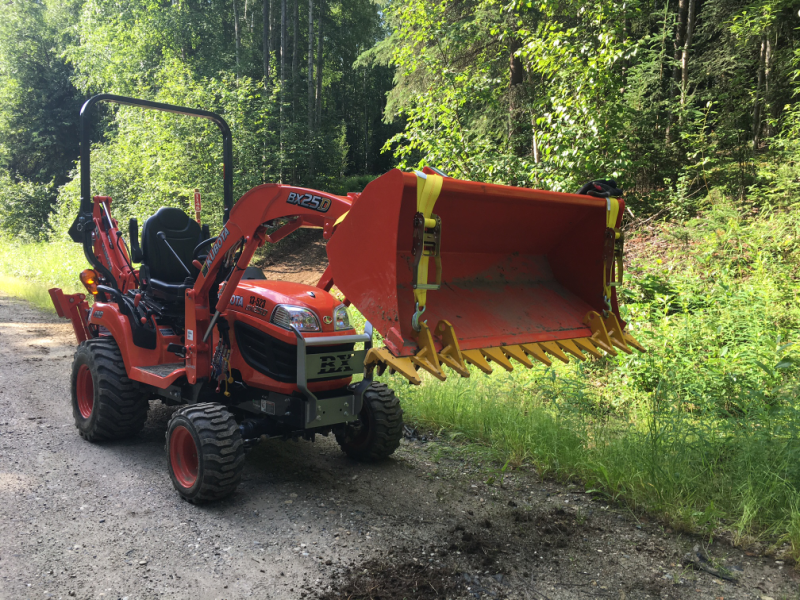 Kabota BX25D with backhoe and a variety of attachments. New equipment means I can get your job done. 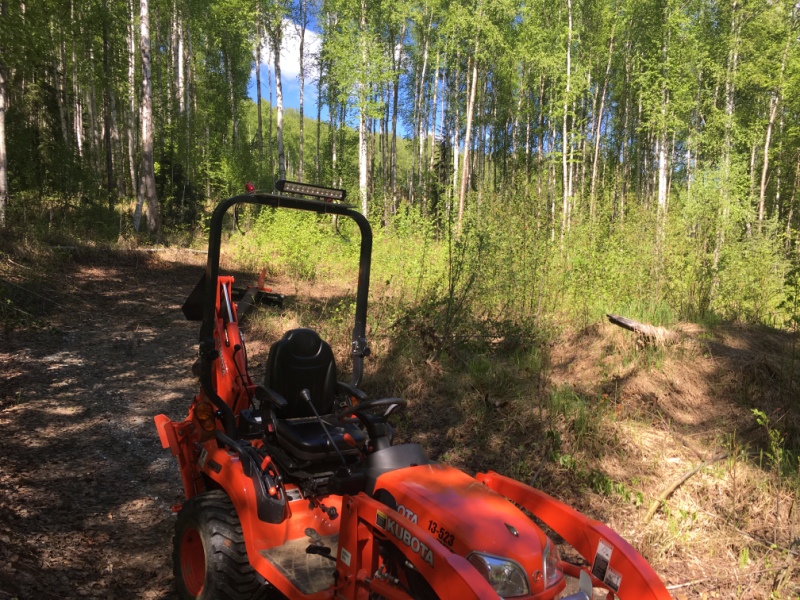 Kabota BX25D with driveway rake. Repair, contour and upgrade your existing driveway. Inexpensive and fast culvert installation. 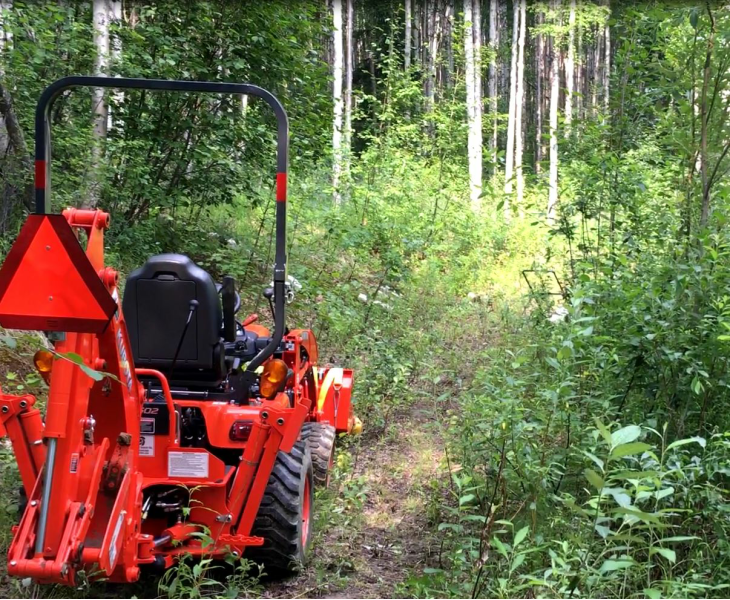 Raw, abandoned driveway overgrown with brush before Kubota work. Brushed, leveled and raked - getting it into shape. Give up on the pick, shovel and wheel barrel. Having a backhoe means I save you time and frustration. 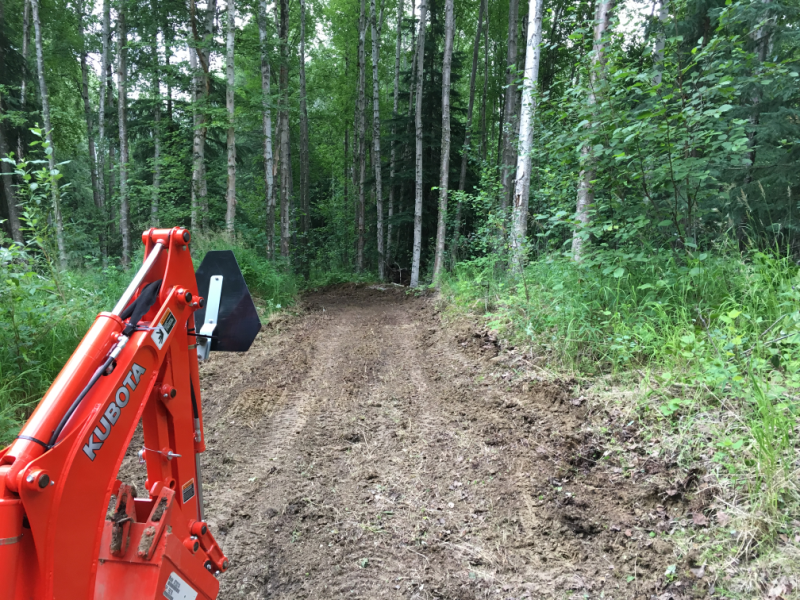 Driveway ready for side ditching, culvert install, final level and gravel delivery.